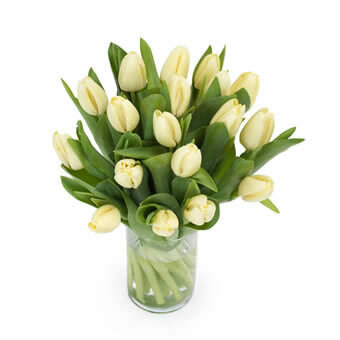 Florist designs hand-tied bouquet of cream-coloured tulips. Pure elegance! **The vase is not included**.